Actress and singer Sonja Kristina shot to international fame in the 1970's fronting the prog-rock band Curved Air. With the band's demise, Sonja brought up her children and recorded solo albums, in a genre she termed 'acid folk', to critical and public acclaim. 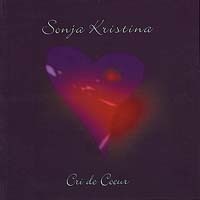 A dark period for Sonja commenced in the early 1990s with the end of a high-profile marriage to former Curved Air drummer Stewart Copeland (who had found greater fame and fortune with The Police). This release finally breaks her silence - a veritable 'cry from the heart'. There is an exclusive video of Sonja included.